Welcome to the UCSD Clothing Closet! The Clothing Closet is a student-run, non-profit business that accepts clothing donations in order to provide clothing free of charge to those in need. We are grateful for all of our donations and hopeful that they will make a difference in the lives of the community members we serve. If you would like to visit the Clothing Closet or would like to make a donation, please see below for details. Gently used, clean clothing donations are accepted Monday through Friday at the main office between 9:00 a.m. to 2:00 p.m. We’d like to request you call the main office (515) 457-6800 to schedule a time to drop off your donations. Please note, the only site accepting donations is at UHS—the Urbandale Food Pantry does not accept donations. When school is in session, the UHS Clothing Closet is by appointment during school hours. To schedule an appointment for the clothing closet, please call OR text your desired appointment time to: 515-729-9156. Appointments can be scheduled Monday/Tuesday/Friday from 8:00 a.m. to 2:00 p.m. and Wednesday/Thursday from 8:00 a.m. to 1:00 p.m. Thank you! The Urbandale Food Pantry does not accept donations. 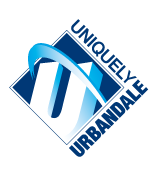 Please deliver all donations to Urbandale High School—see above for information on donating items at UHS. Monday through Thursday 9:30 a.m. to 6:30 p.m.
Saturdays 8:00 a.m. to 12:00 p.m. The Urbandale Food Pantry is a 501(c)(3) non-profit food pantry. It serves over 500 families a DMARC three-day supply of food, personal care items, and milk each calendar month. Please note, when Urbandale Schools are closed due to inclement weather the Pantry will also be closed. If you have any questions, please contact Amber Ruppert rupperta@urbandaleschools.com at Urbandale High School or contact the Urbandale Food Pantry (515) 251-6688. In 2009, Julie McKibben, Strategist II: Mental Disabilities Teacher at Urbandale High School, UHS students with intellectual disabilities, and the Urbandale Chapter of Best Buddies, brought to life a district-wide program called the Clothing Closet. The Clothing Closet is a student-run, non-profit business that accepts clothing donations in order to provide clothing free of charge to those in need. The Clothing Closet became so successful in the spring of 2013, that it outgrew its space at the high school and expanded to a satellite location next door to The Urbandale Food Pantry. With the help of teachers and associates, UHS students with intellectual disabilities manage the Clothing Closet by accepting donations, laundering clothing received, responding to order requests, managing inventory, and interacting with customers. All clothing is provided free of charge to those in need, and done so with the same degree of dignity and respect that these students have come to value and believe they are worthy of in their own lives. We would like to thank Vosk Enterprises for their generous donation of a dryer to the Urbandale Clothing Closet. This helps us to continue to offer clean clothes to those in need in our community.